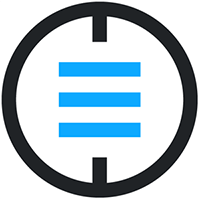 Bankex uses the symbol "BKX" and works separately from a single administration, such as a central bank. BKX, a decentralized digital asset, is not mineable, therefore in order to obtain BKX, you must buy through a cryptocurrency exchange service. For the latest from Bankex, you can find them on social network sites, such as Reddit. We don't have any exchanges listed for Bankex yet, check back soon! We don't have any wallets listed for Bankex yet, check back soon! We don't have any debit cards listed for Bankex (BKX) yet, check back soon!